Anyone who lives in an area with many trees and any kind of strong weather knows just how dangerous this combination can be. Trees are naturally designed to be resistant to a lot of rough weather – their mix of rigidity and flexibility means most of the time, they withstand a lot of abuse from the elements. However, they’re far from indestructible. 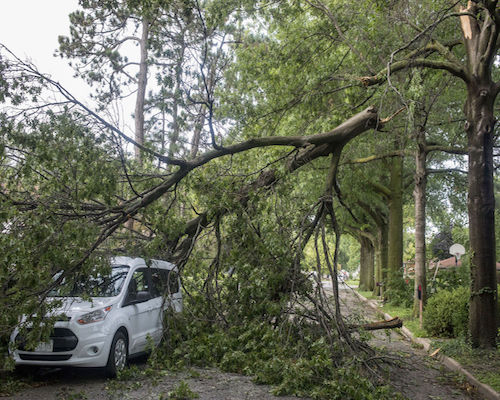 Even a healthy tree is a risk for fallen limbs. As limbs grow, they weaken due to age and their own excess weight. Excess rain in the leaves can add weight to a literal tipping point when they can come crashing down. Hail and strong wind can hasten this as well. And, who can forget the dramatic lightning strikes, which can fell even strong, thick, healthy limbs in seconds. Even with regular maintenance and care, there’s no guaranteed prevention of these sorts of incidents. 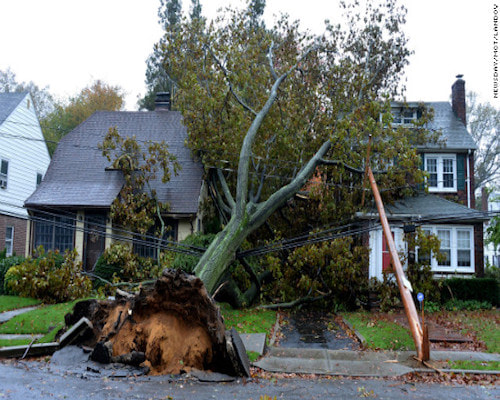 When they happen, they can damage property, knock down power lines and block roads. If an emergency does happen, the first thing you should do is immediately call us, even if the severe weather is still ongoing. Under no circumstances should you try to remove limbs yourself, even if time is of the essence – it’s very easy to incur severe injuries or cause more damage. 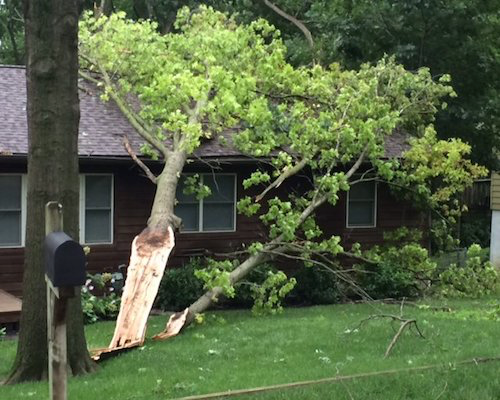 A Salem Tree Service crew member will arrive on the scene to examine the damage, noting how large of a crew and what equipment is needed to safely, affordably and quickly remove the debris. We’ll provide you with a verbal price quote. Once you accept the quote, we immediately mobilize the crew and give you a written statement of all expenses before beginning the actual work. Our first priority is to remove all dangerous debris so that power can be restored as soon as possible. Once this is done, we begin removing the less dangerous fallen limbs or trees. We’ll remove it all, and chip even the small branches and limbs. Once it’s all safe and clear, we’ll rack and clean the entire area so that any sign of damage is done away with. Don’t let just any service handle this – it’s crucial that professionals of our caliber handle this so it’s done right and done safely! This is also an excellent time to have undamaged trees trimmed while we are on your property. We can usually offer you a discount in conjunction with our restoration tree services.